00:/ have recently completed offices for the Association of Photographers, who have moved to a canal-side location in Dalston, East London. Working within an existing concrete shell, their new home provides 300 sqm of largely open plan, flexible space, opening via a wall of folding glazed doors onto a long terrace overlooking a basin on the Regent’s canal. Concrete has been left exposed where possible, whilst a new timber floor and ceiling make good use of boards bought direct from a local scaffolding supplier. 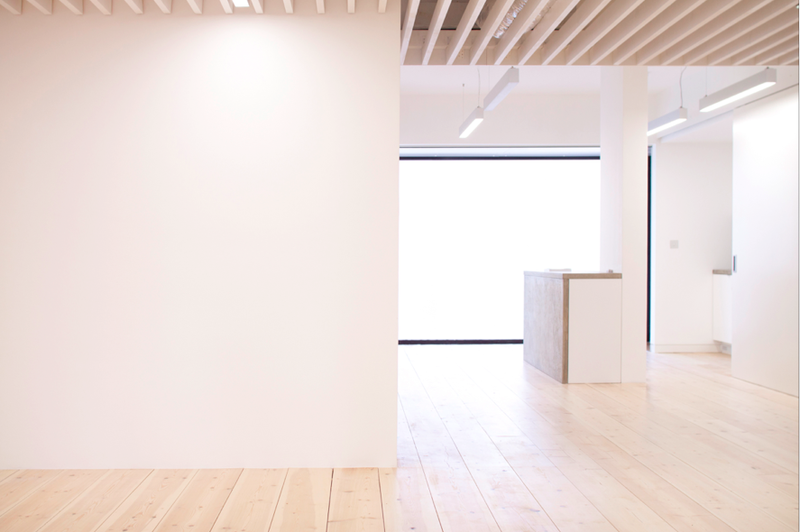 Bespoke joinery provides concealed storage and a number of discrete folding and sliding partitions, which in turn allow spaces to be closed off & reopened easily as needed - creating a reception, bar, small gallery, workshop, boardroom and workspace depending on the configuration.